Bff is an initialism of the phrase best friends forever. Bff has evolved into a noun that refers to a close friend. Being someone’s bff does not mean you’re part of a club with only two members. It does, however, mean that you have a very close friend. Bff is an initialism of the phrase best friend(s) forever, and it’s a term of endearment used for selected close friends. It’s been in use since at least 1996, although the concept of having a “best friend” predates the phrase. 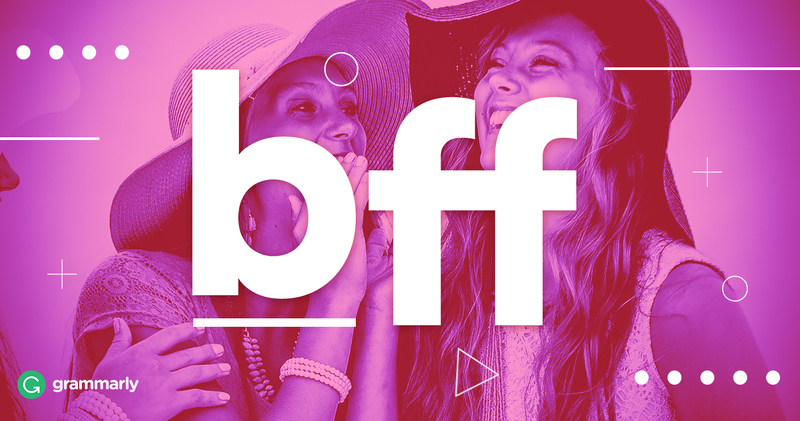 Bff is mostly used by younger people, especially girls, in informal communication. Bff can be written in uppercase and in lowercase letters, and since it’s usually not used in formal communication, you can write it either way. If you have to use it in formal communication, however, you should remember to pick one of the two capitalization options and use it consistently. Janelle and I became bffs after our families went on a vacation together. We were bffs in high school, but we drifted apart when we went to college.